Leave the perfect sales message every time with voicemail drop automation. 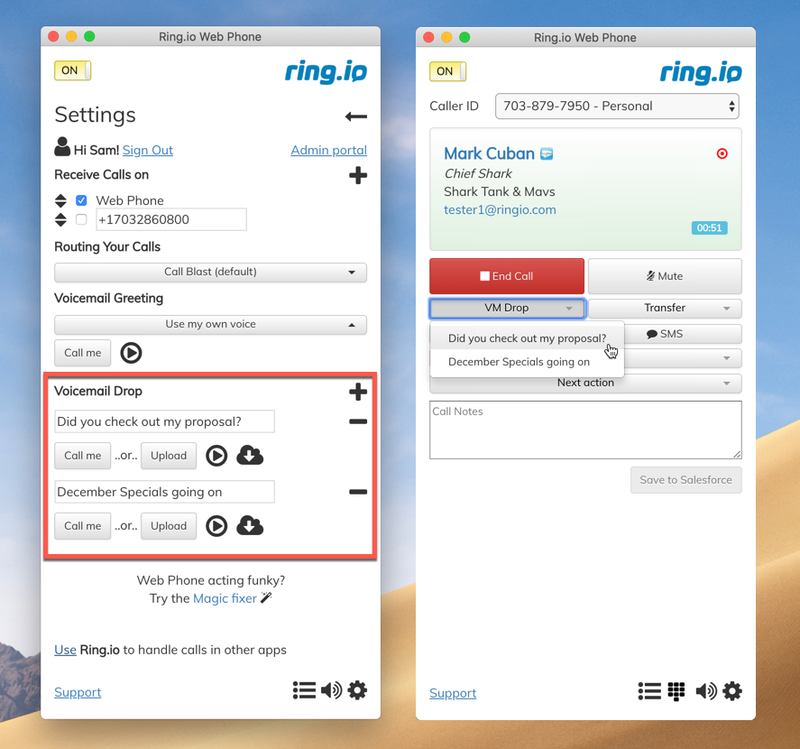 Record or upload as many voicemail messages to your library and choose which one you want to leave on each call. Have as many pre-recorded voicemails as you’d like. Automatically log which voicemail was used in Salesforce. Track which voicemails lead to callbacks and conversions. How much time does your team spend leaving the same voicemail message for multiple leads? With voicemail automation, you can leave voicemails in a few clicks and move on to the next call. With as many pre-recorded voicemails to choose from, you can customize each one for a different type of lead or stage in the sales process, making it easy to leave the perfect message on every call.